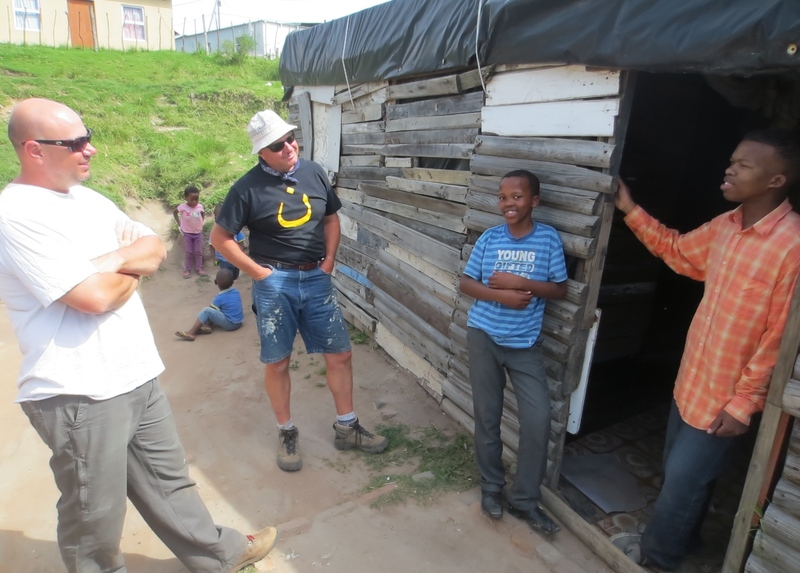 Outside Aphiwe’s home: Kevin (Foundation Treasurer), Kurt (Team Leader), Aphiwe’s Brother (grade 7), Aphiwe (grade 12). 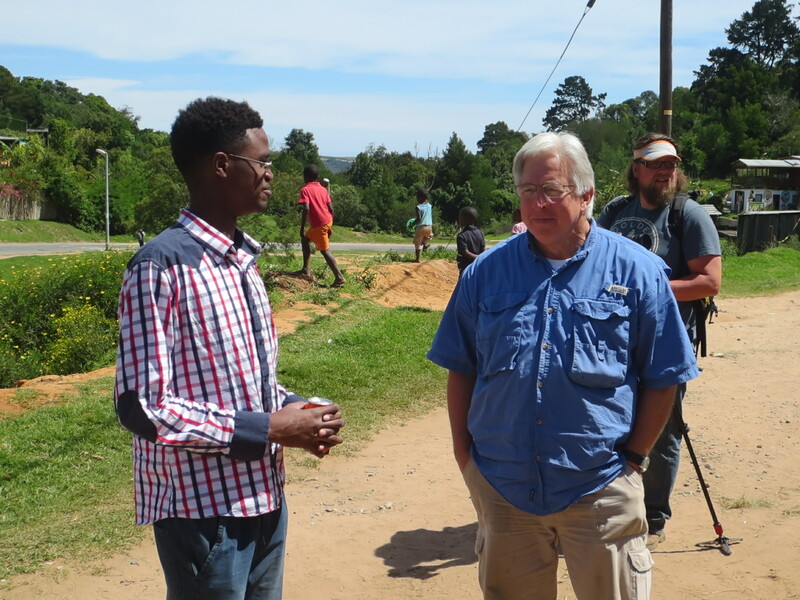 Following a highly productive week in the township, a team of 14 very dedicated individuals from the Khayamandi Foundation of Augusta, Georgia, departed yesterday for their return trip to America. 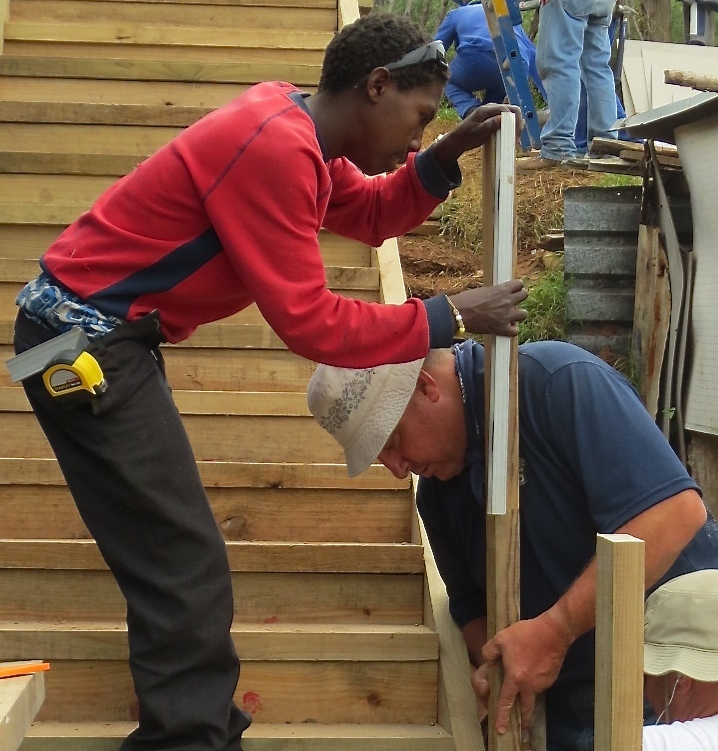 Working alongside township youth, the team undertook a number of construction projects including a sunday school, footbridge for local residents, renovation of a safe house, and much needed repairs to staircases and other items. We initially met members of the Khayamandi Foundation 2 years ago in Knysna and their generous support sponsors the education of 2 of the youth we mentor. Ntokozo (age 14) attends Oakhill private high school in Knysna and Ben (age 20) studies computer science at the University of the Western Cape in Cape Town. This entry was posted in Uncategorized by Janet & Jim. Bookmark the permalink.